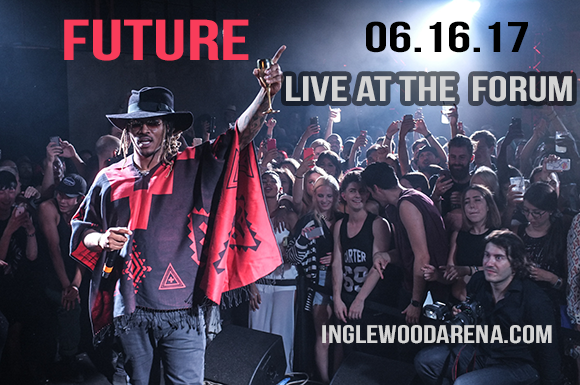 The one and only – Future is coming to bring his talent to the LIVE stage, come and catch him at The Forum on Friday 16th June 2017! The Future of music is here, with the groundbreaking trap artist, everyone is talking about what's next, as one of the freshest artists around, be sure to get on down for this one! Summer 2017 is all about discovering new sounds… So what are you waiting for? Book your tickets today for Future, the energy is going to be hot! Hailing from Atlanta, Georgia, is Future. As he kicked off his career on the Underground Hiphop music scene, this guy is working his way up in the world, spreading his sound where-ever he goes and this time he'll be taking to road across North America! You lucky fans will have the chance to see him do what he does best, it is crucial you are there.. with many big things in the pipeline, Future will no doubt surprise you, hype up the crowd and leaving each and every one wanting more!